Does Pixar have a spy within its ranks? In 2008, the studio announced a project titled “Newt,” which involved two amphibians that were the last of their kind on Earth. Three years later, 20th Century Fox released “Rio,” which featured two birds that are the last of their kind. (Pixar scrapped “Newt” in 2010, citing an inability to get the story right, while acknowledging that Fox was going to beat them to the market.) Shortly after Lee Unkrich won an Oscar for directing “Toy Story 3,” Pixar announced that his next project would be about the Mexican holiday Dia de los Muertos (Day of the Dead). Cut to the present, where Fox once again beats Pixar to the market with the similarly themed “The Book of Life.” Don’t be surprised if Pixar is more tight-lipped in the future when it comes to non-sequel projects. 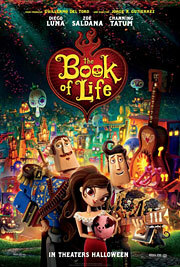 Of the two ‘stolen Pixar’ movies, “The Book of Life” is hands down the better movie. The animation is spectacular (executive producer Guillermo Del Toro’s influence, for sure), the story is breezy but smart (well, smart-ish), and it teaches valuable lessons about family, honor and being true to oneself. It also raises the stakes on pop music drop-ins (having a character sing a modern-day pop song in an out-of-context time period) by having the guts to use a Radiohead song. The movie gets a star for that moment alone. A group of children are taken to a museum, and their tour guide Mary Beth (Christina Applegate) tells them the story of La Muerte (Kate del Castillo), ruler of the Land of the Remembered, agreeing to a wager with Xibalba (Ron Perlman), ruler of the Land of the Forgotten. The wager concerns best friends Manolo and Joaquin, and which one of them will win the heart of their friend Maria. Maria is sent to Spain to study, and when she returns years later, Manolo (Diego Luna) is a bullfighter who’d rather be a musician, and Joaquin (Channing Tatum) is a brave, powerful soldier. 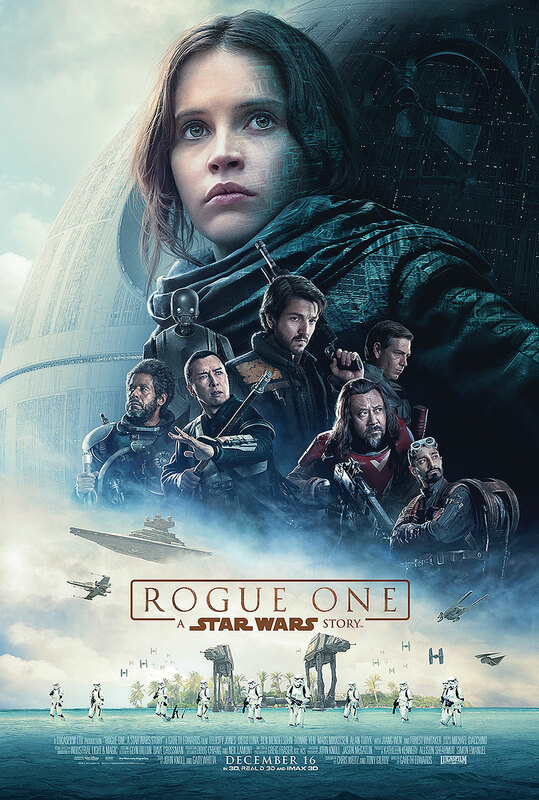 Xibalba, who has already interfered with the bet, senses that Manolo has the upper hand, and begins a chain of events that will send Manolo searching both netherworlds for Maria (Zoe Saldana), where he will learn a lot about his family history, and therefore himself, than he ever knew.